Our Master Practitioner course begins on 1st March. Judith Lowe will be teaching part of the module on modelling, and will also run two optional one day modelling workshops, which will be free for attendees. This will be a great chance to work in small groups with one of the UK’s leading experts on modelling. Can NLP modelling work as a tool for personal development? What ever your profession (or skill you wish to grow) you can dramatically improve by learning NLP modelling. It is a deliberate way of gaining the most from people who are already exceptionally good at something (exemplars). Often we improve by casual conversations or informal mentoring. Modelling provides a structure to work out ‘the difference that will make the difference’ from these exemplars. You can then spot things you normally wouldn’t have noticed and up your game. It is a fantastic way to create practical training programmes too. 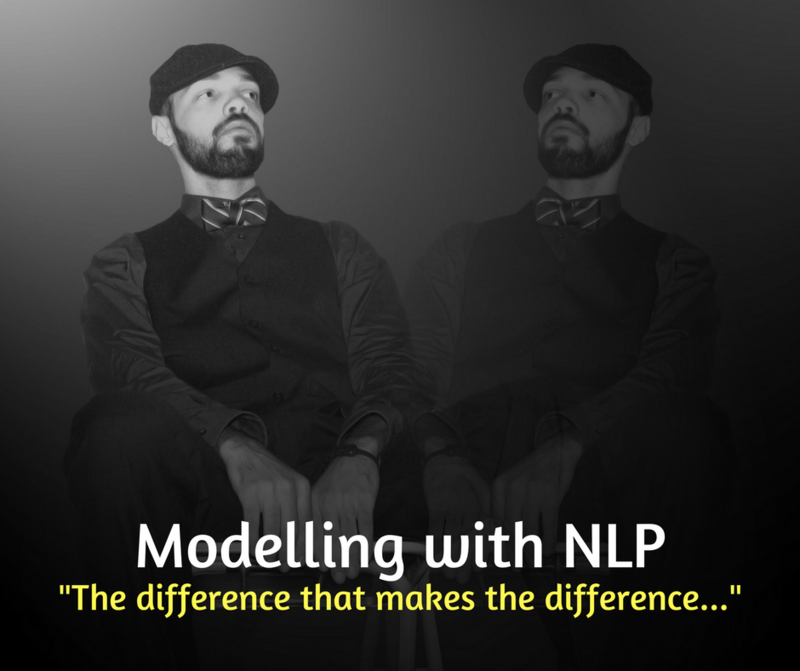 Modelling is arguably what NLP is ‘all about’. NLP was born out of a modelling project (though it wasn’t called that at the time), when Richard Bandler was analysing transcripts of therapy sessions, in an attempt to see what the therapists were doing that had the curative effect. John Grinder was impressed with Richard’s new found therapy abilities and wanted to model his approach of rapid learning. They then worked together and the result was the ‘Meta-model’, with its twelve types of categorizing dysfunctional thought. What is it about what they do that makes them so special? Robert Dilts has been particularly active in this area. On the lookout for flaws in a project or argument. But Robert has modelled a number of other geniuses: Freud, Leonardo da Vinci, Mozart, Einstein. His books on this, Strategies of Genius, are amazing reads and utterly fascinating. In coaching, we need to understand the inner world of our clients, not to create big therapeutic models but simply so we can be with them on their journey of change. I begin by simply observing. I try to copy their physical movements, especially small, repeated gestures, and see what they ‘tell’ me about the client’s state. This has, of course, to be done subtly and with discretion. Breathing can be another ‘way in’: is it fast or slow, deep or shallow? The key to doing this well, apart from simple observational skills, is having a totally open mind. Don’t think you know what a gesture means, just copy it. Don’t think you know which gestures are significant and which ones aren’t, just copy them. This non-judgemental state was called the ‘Nerk-Nerk’ state by NLP trainer Todd Epstein. Nerk-Nerk is an imaginary alien who has the same nervous system and physical characteristics as human beings, but none of our perceptual, linguistic or cultural assumptions. TA founder Eric Berne had a similar idea, saying that a therapist should ‘Think Martian’ when examining speech and behaviour. When Neuro Linguistic Programming was being developed, the idea that copying gestures without conscious thought could create empathy seemed counter-intuitive. This idea has become a lot less controversial. This is partially because the technique has been shown to work, but also because neuroscience has ‘caught up’ with the idea, via the discovery of ‘mirror neurons’. These are a part of the human (and primate) brain that ‘fire’ both when we do an action and when we see someone else doing the action – they probably evolved to help us learn skills by imitation, but also maybe to increase social bonding. Instinct is a good guide here – if you have all these tools in the rack, you can reach for the one that feels most relevant. This feeling will be better informed if you have done the intuitive, physical modelling first. It’s easy to jump to the ‘head stuff’ first, but those gestures can often tell you much more. If this still sounds a little mysterious, then the best way to find out more is to practice it.